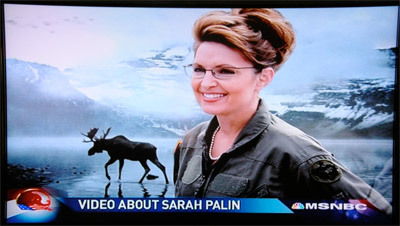 Last night, the RNC played a video that was intended to introduce us to Republican Vice Presidential nominee Sarah Palin. The video was originally supposed to play Wednesday night just before her speech, but the decided to go straight from former Mayor of New York Rudolph Giuliani's speech into Sarah Palin's. To introduce her, the video starts with six simple declaratives: "Mother. Moose hunter. Maverick. Mayor. Governor. Maverick." First off, two of those are the same. I always thought James Garner was the original Maverick, but apparently Sarah Palin is twice the Maverick he ever was. Frankly, I'm not sure it's appropriate to refer to a woman using a word that can mean "an unbranded head of cattle", but what the heck, it's her campaign. Next off, while "Governor" is an important part of her resume, it really throws off the alliteration. It doesn't even have an M in it. I guess there wasn't much they could do about that, although they could have pronounced it "governmor" just to get the phoneme in there. "Mayor" is a big win all around. "Mother", I refuse to address. Lastly, "Moose Hunter". I'm not quite sure what that has to do with leading the country, but I love it. Moose hunter. Moose hunter. MOOSE HUNTER..